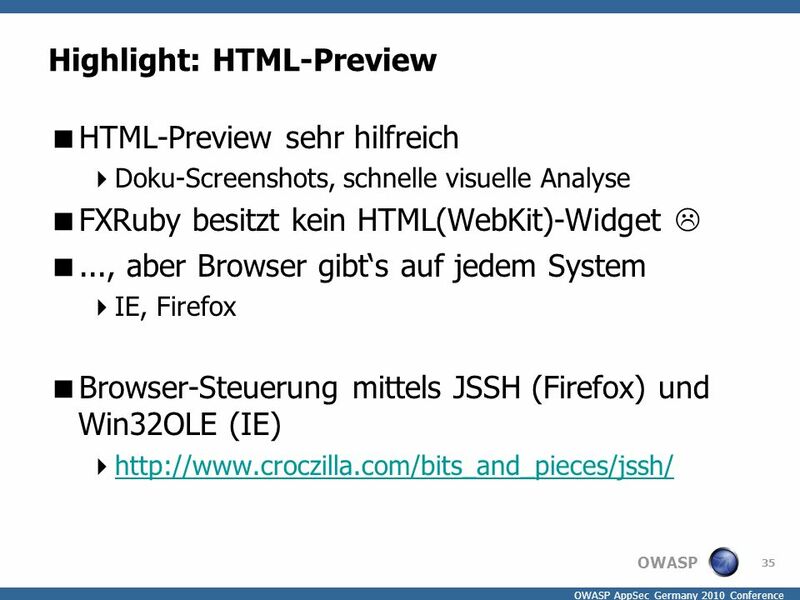 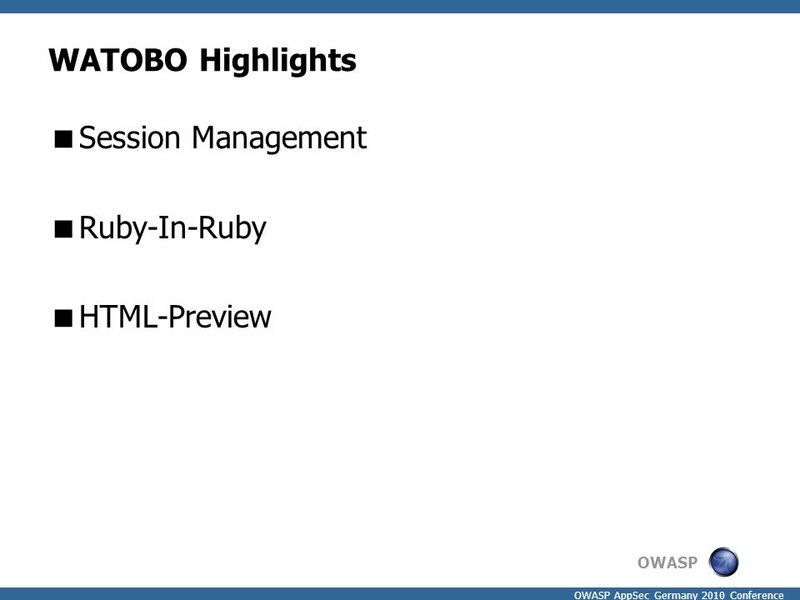 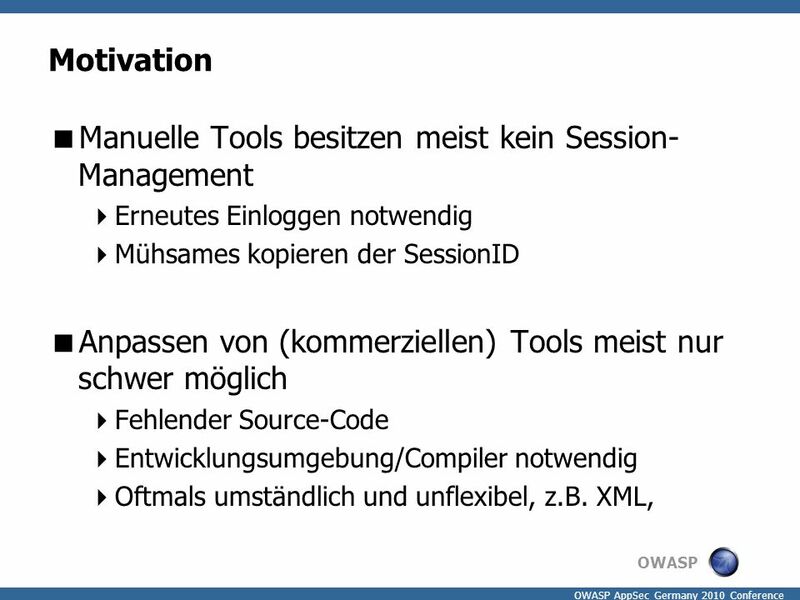 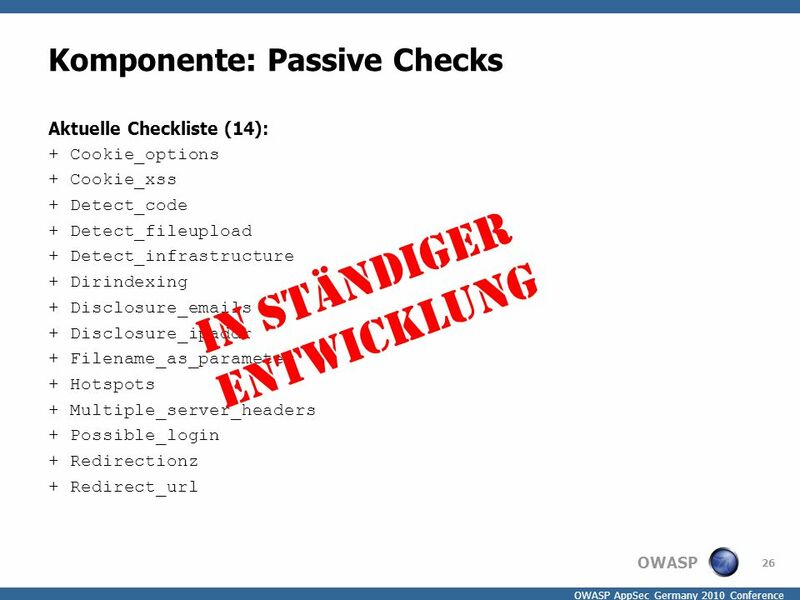 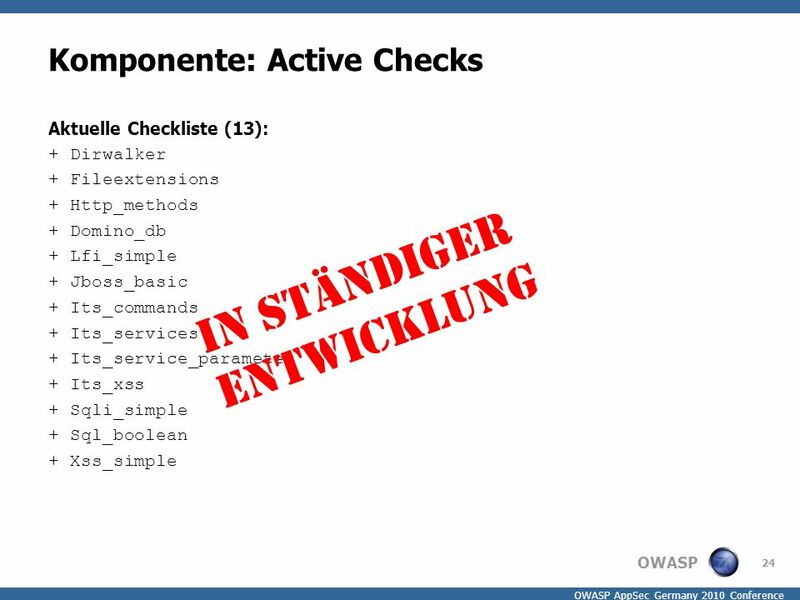 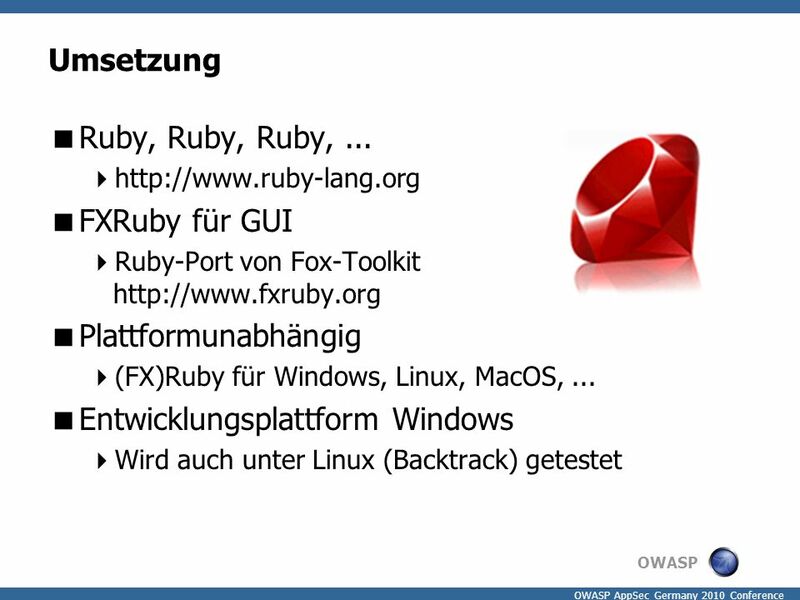 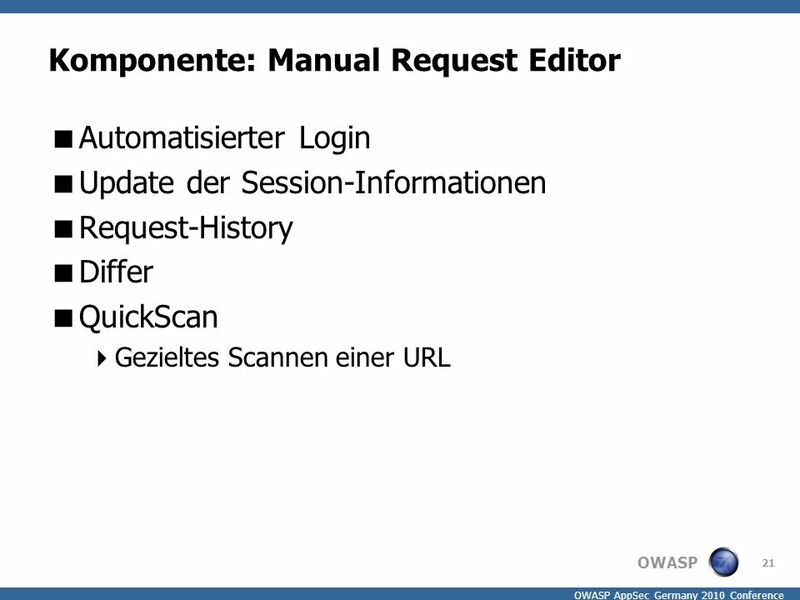 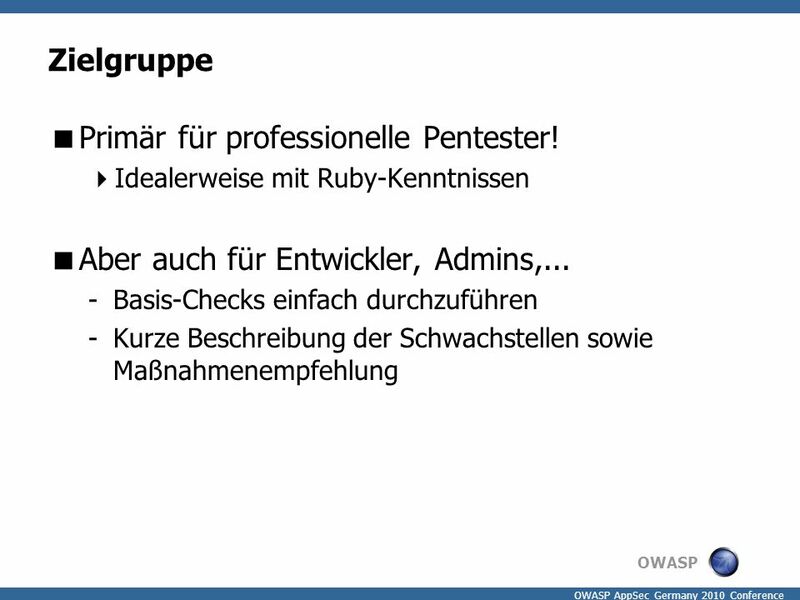 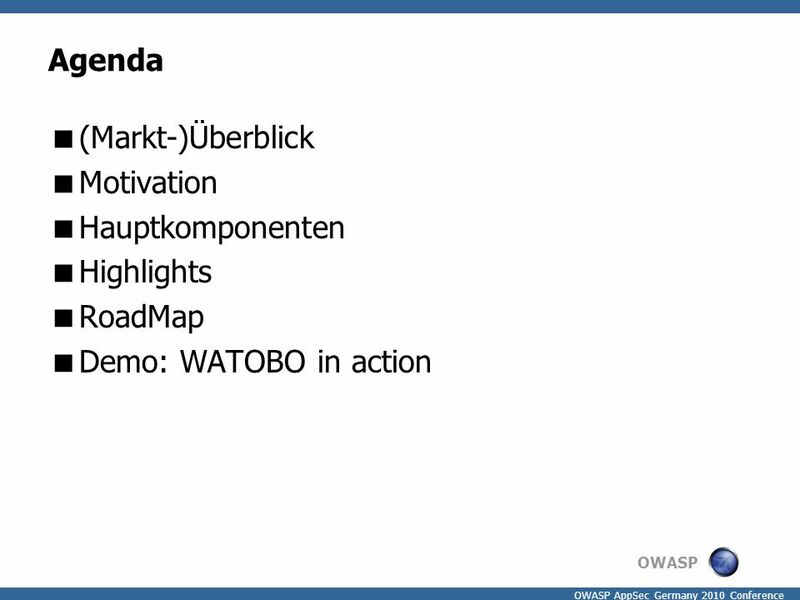 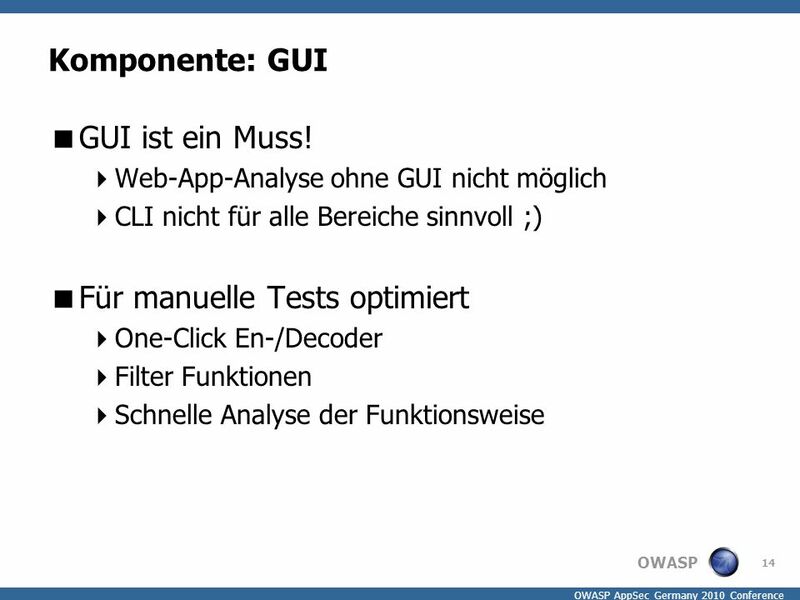 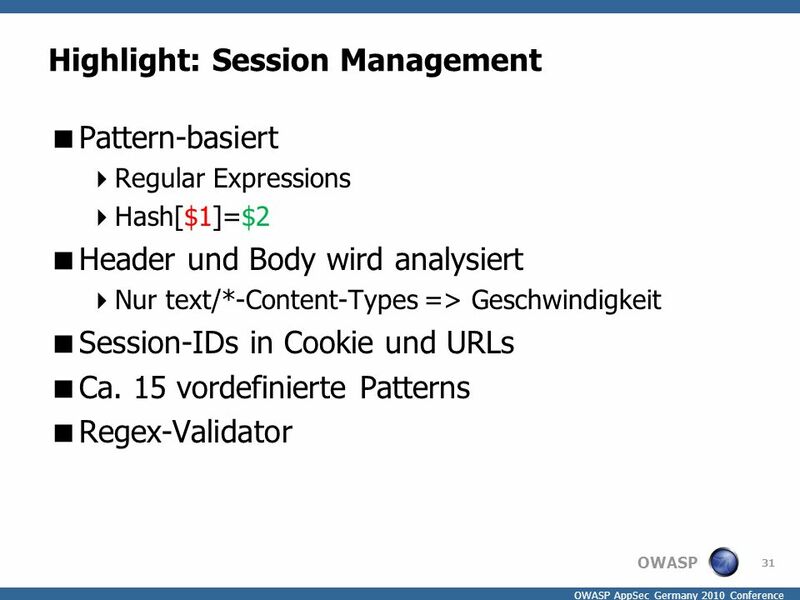 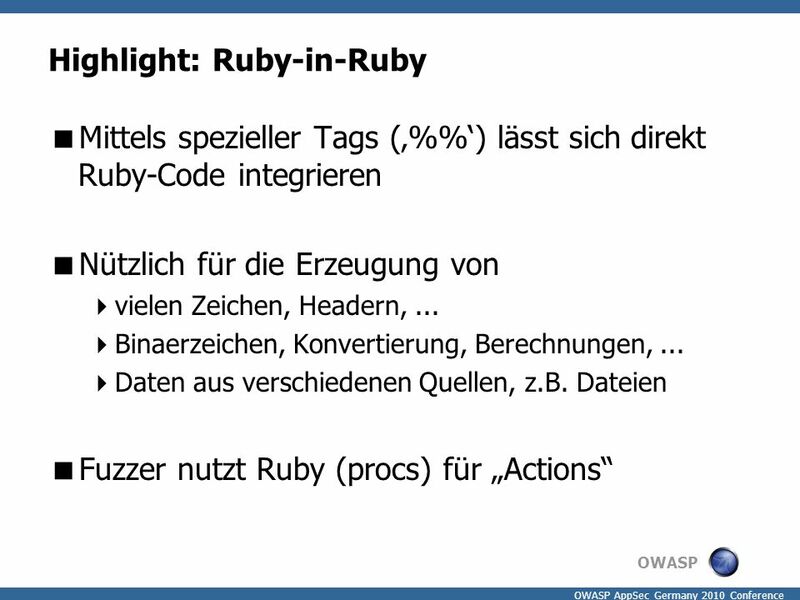 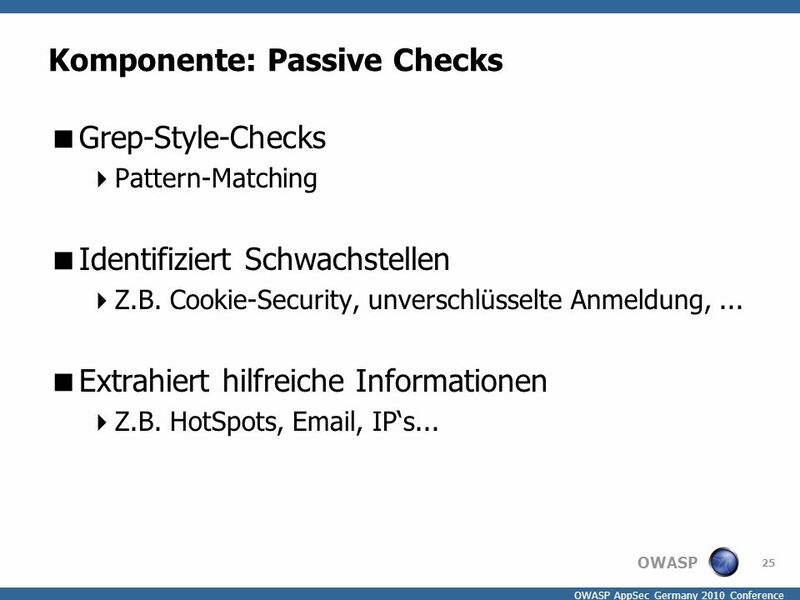 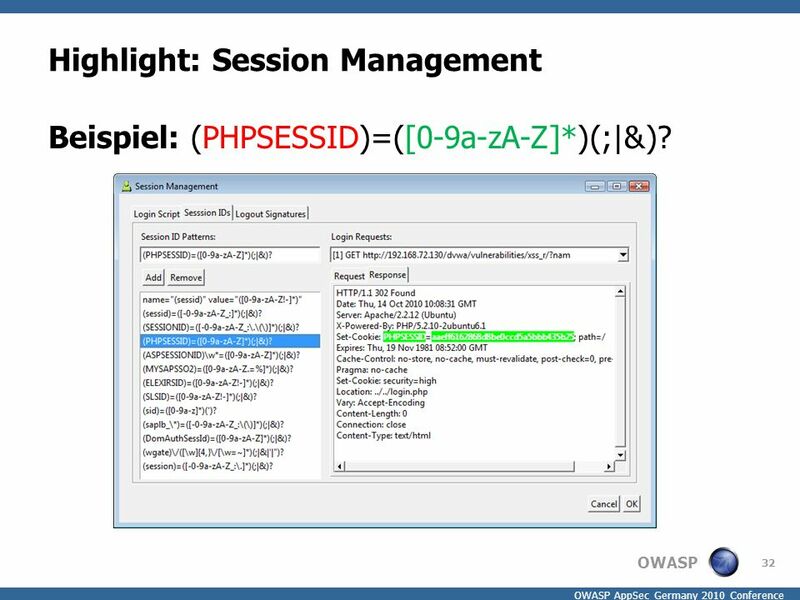 37 OWASP OWASP AppSec Germany 2010 Conference Road-Map  Dokumentation  Videos, rdoc  Installer  Schulungen/Trainings/Workshops! 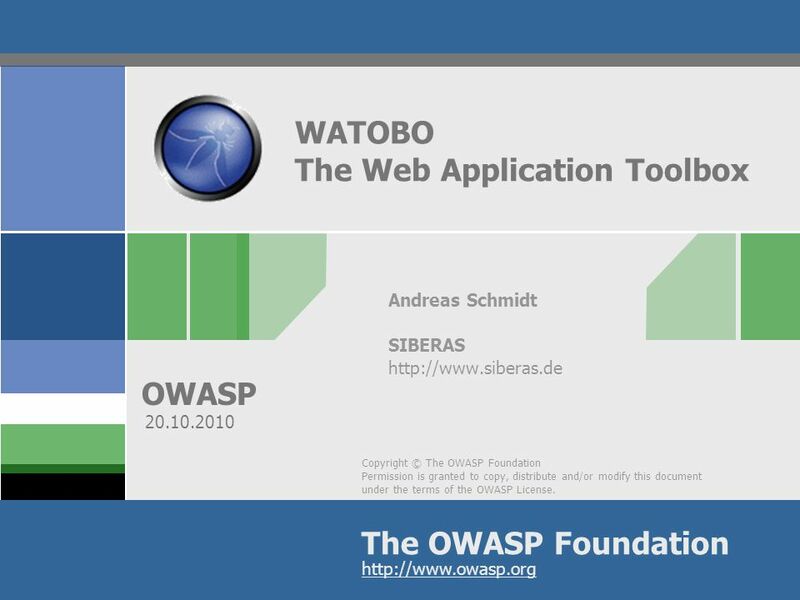 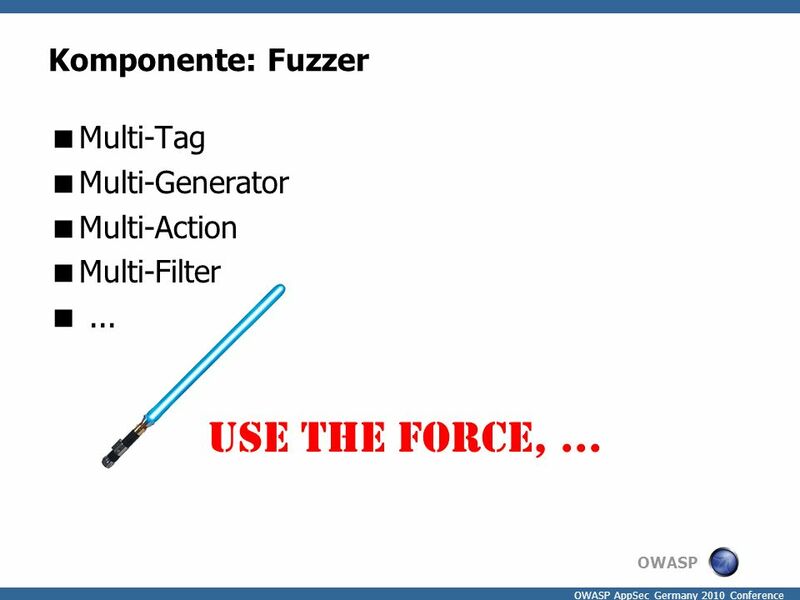 Herunterladen ppt "Copyright © The OWASP Foundation Permission is granted to copy, distribute and/or modify this document under the terms of the OWASP License. 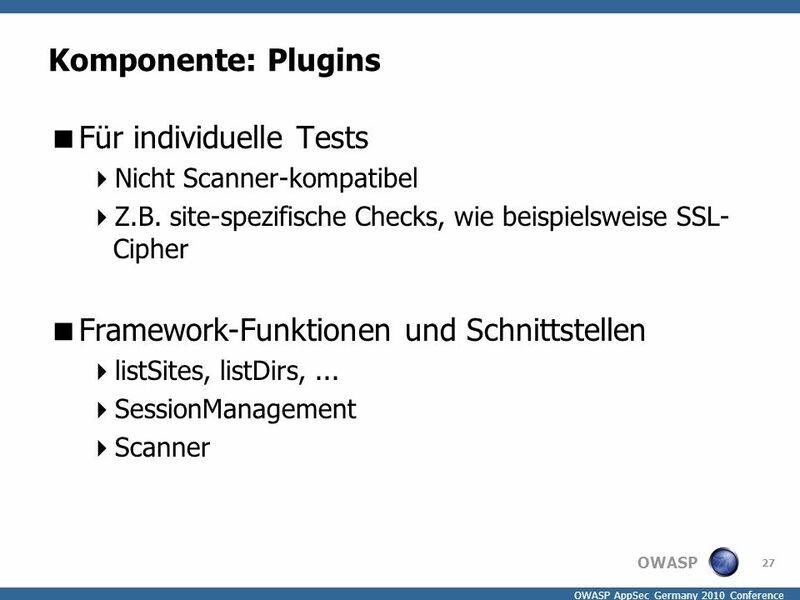 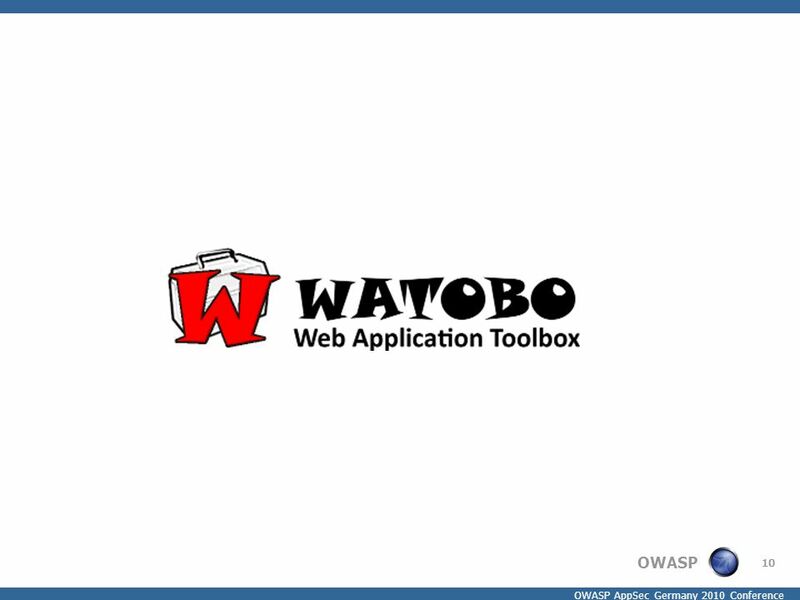 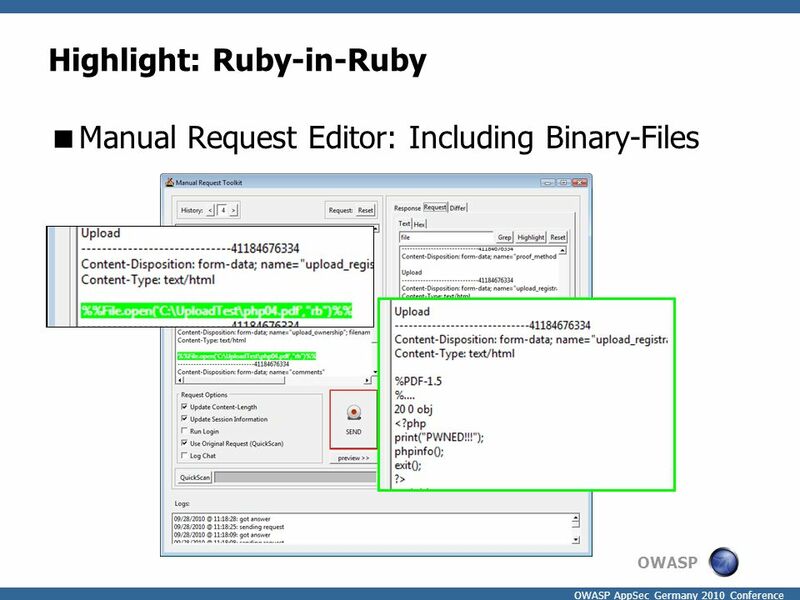 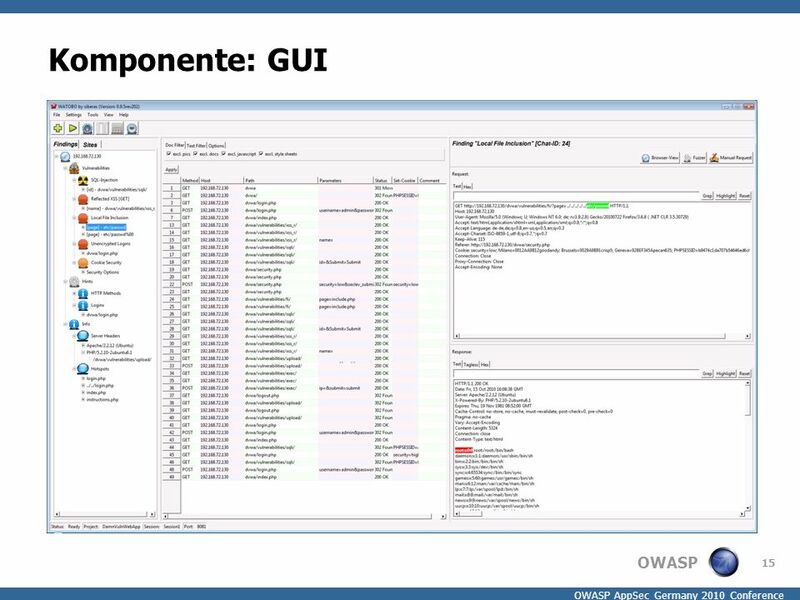 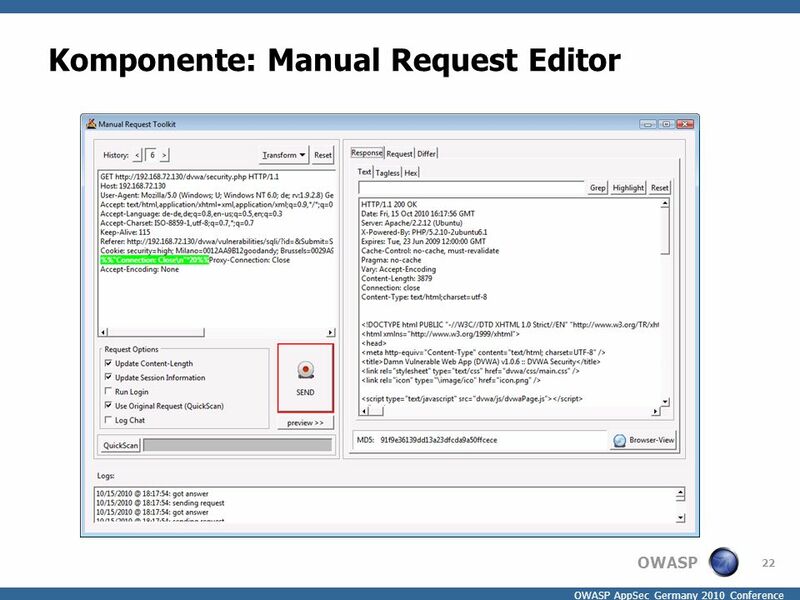 The OWASP."